Everyone loves the Dartmoor ponies, but not many visitors or even locals really understand the role they play on the moor now or as part of Dartmoor’s long history. Which is why it was such a welcome invitation for me to attend the official opening of the Dartmoor Hill Pony exhibition at Powder Mills this week. As a Dartmoor guide, I spend quite a bit of time explaining about ponies and I have of course done my homework, but I learned a whole lot more looking at the Powder Mills displays. The exhibition is the brainchild of potter Joss Hibbs, whose property it is housed in, and Charlotte Faulkner who runs Friends of the Dartmoor Hill Pony. Joss describes the information displayed as a “download of Charlotte’s brain”. 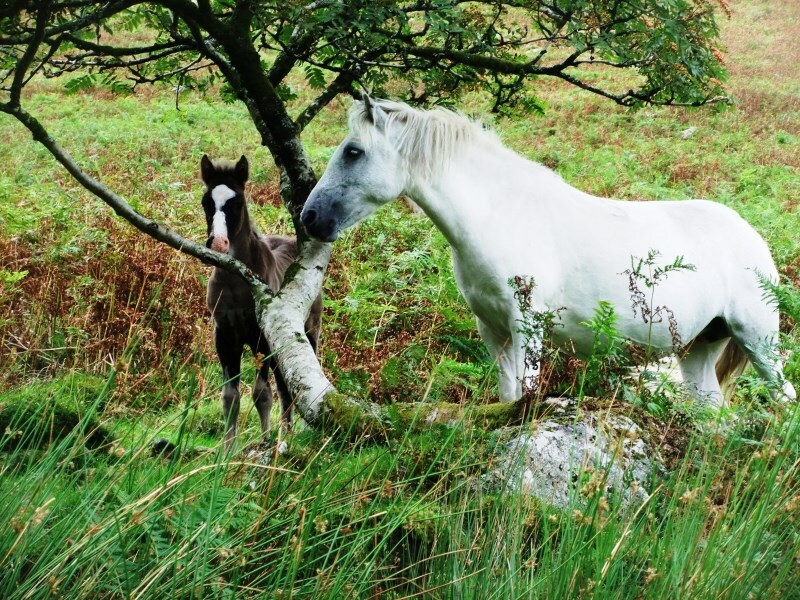 (You may have seen Charlotte on the local news as she is a prominent advocate for the welfare of Dartmoor’s hill ponies and is frequently asked to comment on all matters pony-related, most recently the importance of not disturbing foals found lying on their own.) There’s a wonderful timeline which describes where the ponies first came from and how they’ve been used over the years. There’s a whole section on how ponies fit into Dartmoor life and farming practices and another on the work done by the Friends of the Dartmoor Hill Pony to find good homes for the ponies and promote their overall welfare. After getting the theory, you can then go out and see the reality: for a small donation you can purchase a suggested driving tour with accompanying information and go off on your own. Or you can opt for a guided tour on horseback (with Babeny Farm Riding Stables), in a Land Rover (with Proper Dartmoor Tours) or on an electric bike (with Dartmoor Walks & Rides This Way). We three guides were invited to be present for the cake cutting along with Charlotte and Joss. 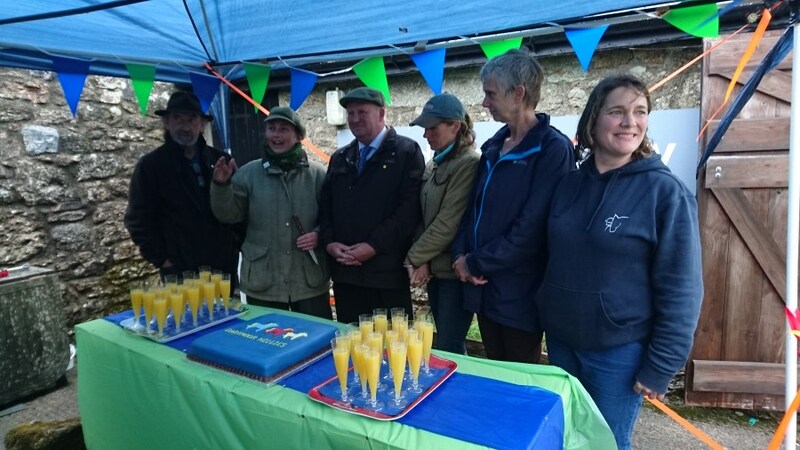 The cake was delicious – as are the cream teas served at Powder Mills which e-bike riders will certainly appreciate on their return from their 15-mile half-day Dartmoor Pony Tour.